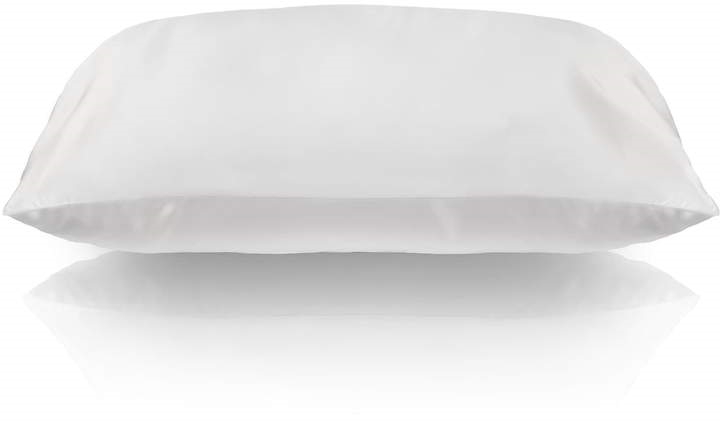 What it is:A standard queen-size pillowcase made of the highest grade mulberry silk for the ultimate beauty sleep. What it is formulated to do:Traditional pillowcases don’t slip and over time, this causes damage to delicate facial skin and hair. Cotton scratches and tugs on skin and grabs and twists hair, resulting in visible premature stretching, sleep creases, damaged hair, and bed-head by morning. Slip silk is so gentle, it allows skin and hair to glide across the surface—protecting and hydrating skin, reducing split ends, and ensuring a longer-lasting blow out. Made using a trade secret production method developed over 10 years, slip silk pillowcases provide the ultimate combination of shine, thickness, softness, and durability. 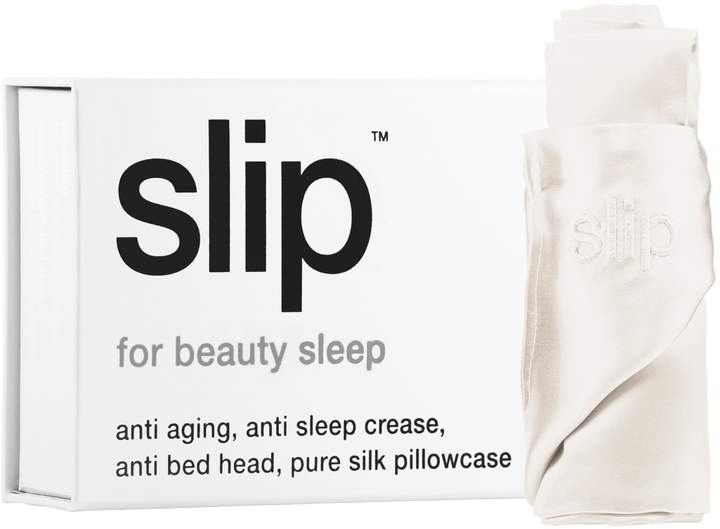 What else you need to know:Slip silk is natural, hypoallergenic, dust mite-resistant, and allows skin to breathe, unlike synthetic satin (polyester) which sweats, essentially negating the benefits. It does not contain toxic dyes and is recommended by dermatologists, plastic surgeons, hairdressers, and beauty experts. Cotton is very absorbent. It can hold up to 27 times its own weight in water and it draws moisture away from your skin and hair. 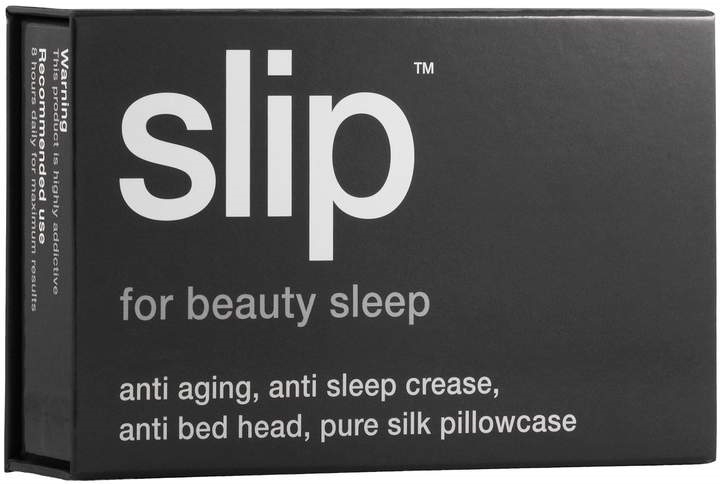 When you sleep on silk, delicate facial skin is more hydrated in the morning and hair becomes healthier over time. Cotton pillowcases also cause sleep creases, which go away later that day but can cause fine lines and wrinkles over time. Suggested Usage:-Use eight hours daily for maximum results.-This product is machine washable (cool/warm, gentle cycle, care bag). 100 Percent Pure Mulberry Silk (22 Momme).